Insurers are offering discounts just for signing up for usage-based insurance (UBI), primarily based on telematics data, and a recent market survey suggests that the approach is resonating. In November, Belgian consulting firm PTOLEMUS reported a 40 percent rise in global UBI penetration in the 12 months ending June 2018. Growth was exponential in the mobile-enabled UBI segment, with the company reporting a 200 percent rise in the number of policyholders to 4.8 million. PTOLEMUS’ Mobile Insurance Global Study predicts that UBI coverage will reach 170 million drivers by 2025. Data Bridge, a British consulting company, has predicted that the value of the UBI market will top $87 billion in 2025, up sharply from just $21 billion in 2017. That represents a compound annual growth rate of 19.5 percent, the company said. UBI can take various forms, depending on the features of the service. The most common are pay-as-you-drive (PAYD), pay-how-you-drive (PHYD) and manage-how-you-drive (MHYD). The offerings are popular among people who consider themselves as careful drivers. All major insurers have launched apps to collect driving data, with some even offering a try-before-you-buy option. 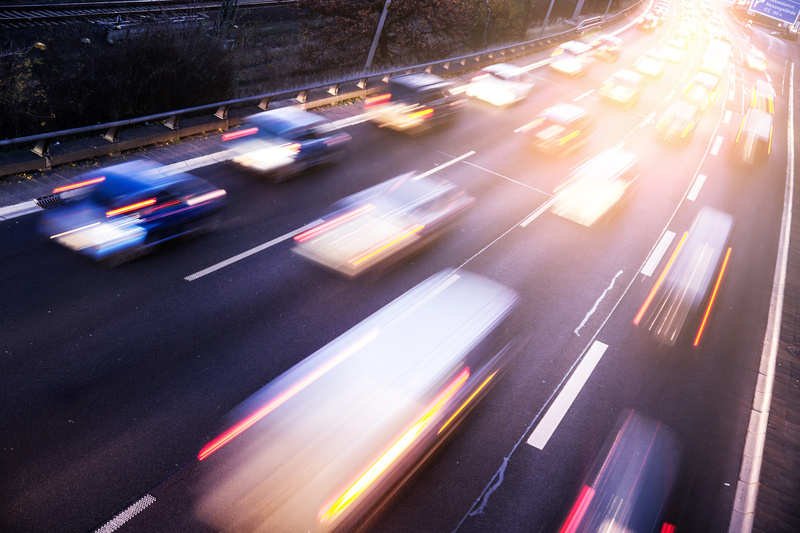 British insurtech Vision Track, which provides telematics for commercial applications, has gone one step further by launching a platform that can track vehicles with live video. The company was honored at the 2017 British Insurance Awards for its innovation. 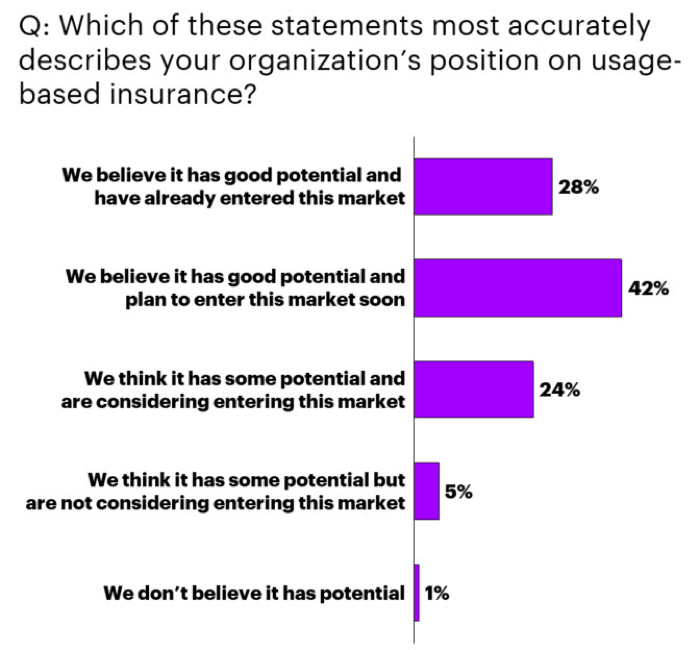 Forty-two percent of insurance executives polled for Accenture’s Technology Vision 2018 report say that UBI has good potential, and that they are planning to enter the market soon. Another 28 percent say they are already in the market, while 24 percent are considering it. Five percent see some potential, but are not ready yet to enter the market. Octo Telematics of London is a leader in the field, offering behavioral, contextual and other data. Its insurance customers include Admiral, Allianz and Hastings Direct. Octo uses a number of behavioral metrics in creating an individual’s risk profile. DriveSafe operates independently of any insurer, but the comprehensive driving analysis its app collects is available to insurance companies. This app is widely used in the United States and Canada. Agero is another US company that provides a telematics service to the insurance sector. Its most popular app, Driver360, was launched in 2017. Australian insurtech Digital Matter offers tracking devices and software solutions for UBI. The company is present in some 50 countries. Liberty Insurance, of Singapore, recently introduced DriveWell in the local market. In addition to lowering premiums, the insurer holds weekly competitions rewarding drivers who earn high scores. DriveWell was developed by Cambridge Mobile Telematics, a pioneer in behavior-based insurance applications. The DriveWell platform was named the Best Auto Insurance Product at the TU-Automotive Detroit Awards in June. One British company is trying to stay ahead of the competition by offering auto insurance to young women by using telematics technology. Drive like a girl, launched eight years ago, is a subsidiary of insurethebox, a leading player in the UK UBI market. These examples and our industry survey illustrate the growing importance of UBI. By teaming up with insurtechs, working with manufacturers and developing disruptive technologies of their own, insurers are expanding the market for UBI.